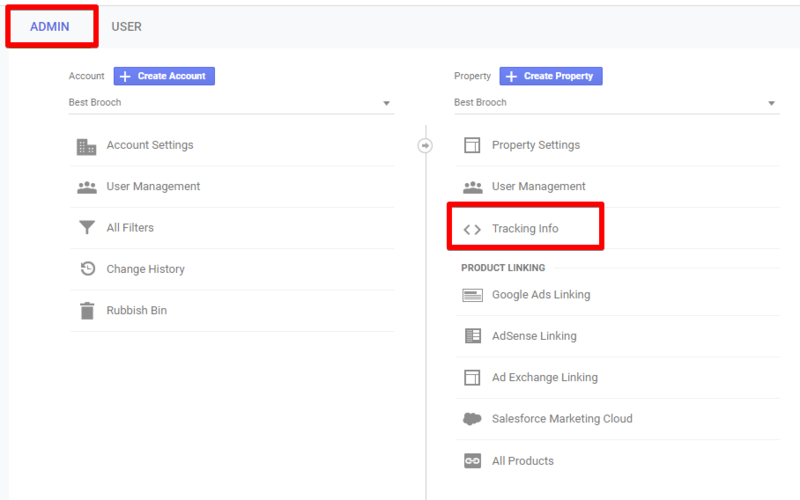 The GA Enhanced Ecommerce add-on collects data from Google Analytics (GA) about your products performance, ecommerce stats and devices your store is visited by. 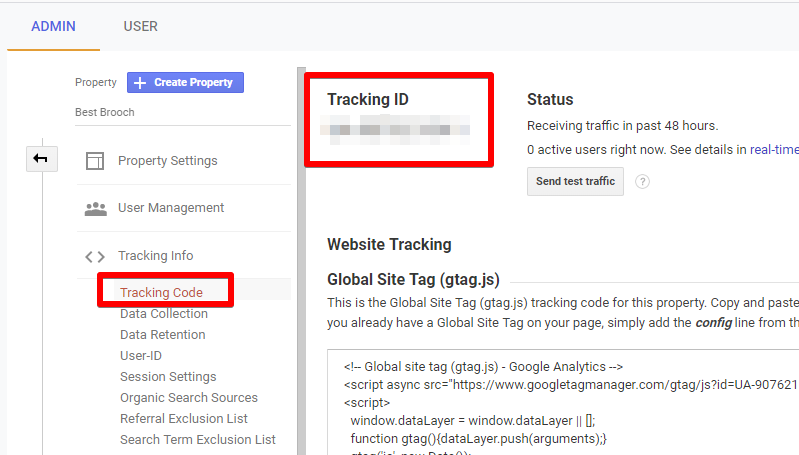 To use this add-on, you need to register with Google Analytics. If you have not registered GA account yet, please check these instructions. 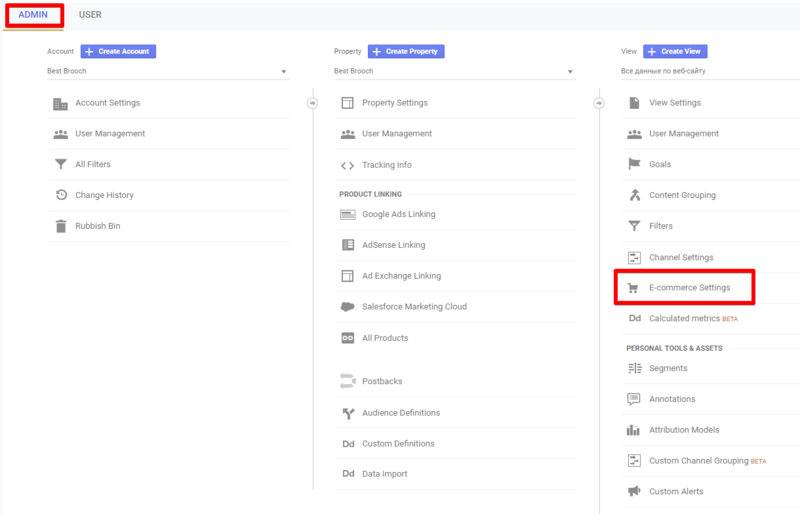 GA Enhanced Ecommerce add-on installation and setup. To install the add-on go to the Plugins area => Add new and upload the zip file you. Click Install. Activate the add-on and enter your license key. After 'GA Enhanced Ecommerce' activation you will see additional sections in AliDropship -> Reports -> Traffic Report: Product performance, E-commerce overview and Device categories. Product revenue - revenue from individual product sales. Unique purchases - the total number of times a specified product was a part of a transaction. Quantity - the number of units sold in ecommerce transactions. Average price - the average ecommerce revenue per product. Cart-to-detail rate - the number of products added to a shopping cart per number of product page views. Buy-to-detail rate - shows how many products were purchased per number of product page views..
E-commerce overview - is a general information about your transactions, revenue, ecommerce conversion rate and average order value. With the help of GA Enhanced Ecommerce, you can easily learn where do your сash flow come from? and Where do your store visitors come from? Have a look at Traffic reports: Traffic sources section. You may recognize this table: it was previously available in our reports section. But, in its earlier versions, this table was lacking the most important details: the 2 last columns, Transactions and Revenue. When you have GA Enhanced Ecommerce on your site, these valuable columns appear. Device categories is a section which allows you to understand how many people buy products on your site using desktop version, tablet or mobile. Users - users who have initiated at least one session during the date range. New users - the number of first-time users during the selected date range. Average session duration - the average length of a session. Bounce rate - the percentage of single-page sessions in which there was no interaction with the page. A bounced session has a duration of 0 seconds. Transactions - is the total number of completed purchases on your site. Revenue - the total revenue from transactions. 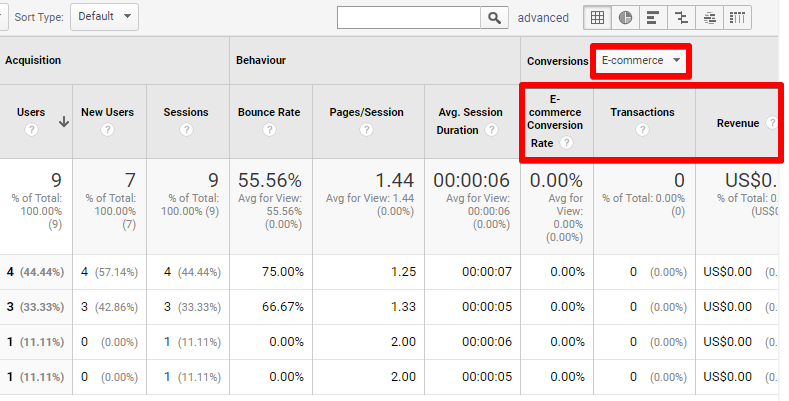 If you want to look through your E-commerce reports on Google Analytics account directly, please log in your GA account. 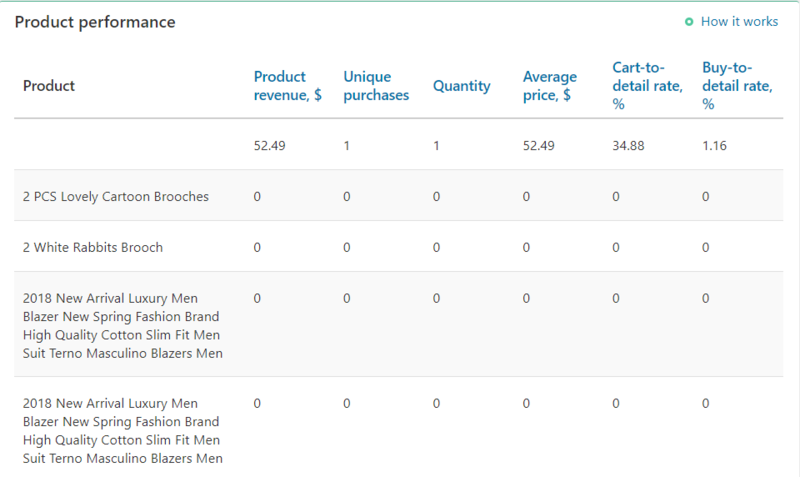 The Ecommerce reports allow you to analyze purchase activity on your site or app. You can see product and transaction information, average order value, ecommerce conversion rate, time to purchase, and other data.